Flagship Romance returns to our stage next month to launch our new season of great concerts already scheduled this year. This duo continues to wow audiences with their song writing and unbelievable harmonies. This evening they will also feature songs from their brand new CD. You have enjoyed their recordings but nothing compares to seeing them live. Flagship Romance is comprised of married singers/songwriters Shawn Fisher and Jordyn Jackson. 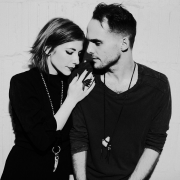 As the Florida-based ‘Harmonic Alternative Folk’ duo they live, work, and annually travel tens of thousands of miles together, deeply in love with each other and the process of bringing their emotionally powerful music to the people. Fluent, intense acoustic guitar playing; lyrics of life’s peaks, troughs, mysteries and wonders; soaring, yearning vocals; tender, though oft-anthemic melodies, and harmonies one could barely separate with a single human hair: this is the Flagship Romance sound. The duo's much-anticipated new album "Tales from the Self-Help Section" will be available at their concert at The Historic Thomas Center. 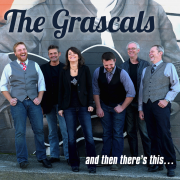 The Grascals began recording their first album in early 2005, which would simply be a self-titled album. On this album, it featured such songs as "Me and John and Paul", "Where Corn Don't Grow", and the popular cover song, "Viva Las Vegas", which featured Dolly Parton. During the course of the 2005 year, the Grascals appeared numerous times on television spots on the Opry, usually with Dolly Parton. The first album made it on to the Billboard charts, as well as many country and bluegrass charts. Also on the album covers, Dolly is quoted saying, "One of the greatest albums I've ever heard." Since then, they have been winning awards and appearing all over the world. Be prepared, this is a high energy show. Expect to have a great time! Rolling Stone called her "one of the greatest songwriters ever", and AllMusic has stated, "When the dust settles, Joni Mitchell may stand as the most important and influential female recording artist of the late 20th century". It gives us great pleasure to present "BOTH SIDES NOW" a Tribute to Joni Mitchell featuring some of Gainesville's finest performers. This evening will be lead by Cathy DeWitt and music director Richard Bassil. This will be a special evening dedicated to the biggest fan of Joni Mitchell, our dearly departed Joseph Saccocci (1952 - 2017). This concert will also be held on the week of his July birthday. Learn, hear and enjoy the music of Joni Mitchell by celebrating the evening with us at the Thomas Center. Jazz singer Linda Cole, niece of the legendary Nat King Cole will perform this evening and has already created quite a buzz around town. 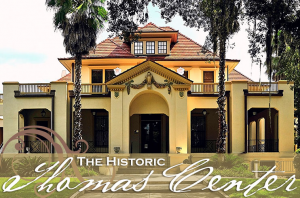 The Thomas Center is the perfect venue for her to showcase her talent and uphold the Cole name.